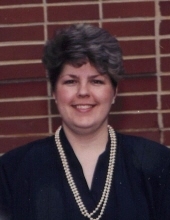 Theresa Veronica Kimball of Cedartown passed away Tuesday, November 13, 2018. She was born in Atlanta, July 13, 1954, daughter of the late W. L. Kimball and Vera Browning Kimball. She retired from Jonesboro Mount Zion School as a teacher and was a member of The Church of Jesus Christ of Latter Day Saints. In addition to her parents, she was preceded in death by a sister, Melissa Kimball and four brothers, Darrell Kimball, Larry Kimball, Quenton Kimball and Buddy Kimball. Survivors include four sisters, Barbara McClure of Cedartown, Bilie Rawson of Utah, Joan Dupont of Cedartown and Jean Berry of Cedartown and a brother, Max M. and Debbie Kimball of Cedartown. The family will receive friends at the funeral home Friday from 5:00 until 7:00 PM. Services will be Saturday, November 17 at 2:00 PM from the Church of Jesus Christ of Latter Day Saints with speakers, Kim Hardin, Stan DuPont, Callie Hood, Jennifer Evans, Tommy McKinney, Ric Kimball, Melanie DuPont, Dale Berry, Annita Milkwick, Spencer Kimball and Tim Millkwick. Music will be furnished by Chorister, Helen Hardin, Pianist, Lana Elefante, Braden Milkwick, Presley Berry and the Primary Children. The following gentlemen will serve as pallbearers and honorary pallbearers, Bill Kimball, Caden Benton, Cas DuPont, Don McClure, Donnie Kimball, G. J. Milkwick, Gavin Benton, Harrison McClure, Maury Kimball, Richie McClure, Rodney Kimball, Roger Kimball, Stan DuPont, Timothy Milkwick, Tom McClure, Tre McClure and Zach McClure. Interment will follow in Buchanan City Cemetery. To plant a tree in memory of Theresa Veronica Kimball, please visit our Tribute Store. "Email Address" would like to share the life celebration of Theresa Veronica Kimball. Click on the "link" to go to share a favorite memory or leave a condolence message for the family.